Bible Lesson: It would be difficult for Joseph (or anyone) to believe that Mary had not been unfaithful. His doubt was reasonable. 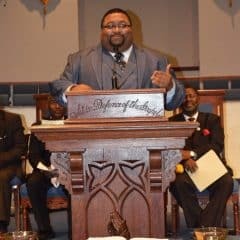 So, God sent an angel to Nazareth to tell Joseph in a dream that Mary’s baby was conceived of the Spirit and Joseph was to become Mary’s husband. Angels are special messengers from God. 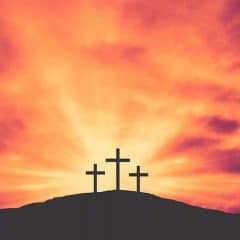 In the Bible, God used different ways to reveal Himself and His will to people. Sometimes we struggle and wonder about God’s will, but when He wants to, God is able to reveal His will to us in a way we can’t miss. 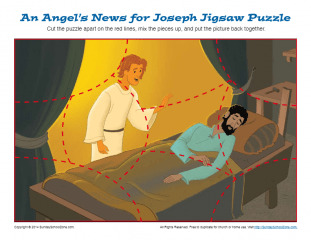 This printable jigsaw puzzle will help children think about the angel’s visit to Joseph and remind them that when God wants us to know something special, He’ll reveal it in an unmistakable way.